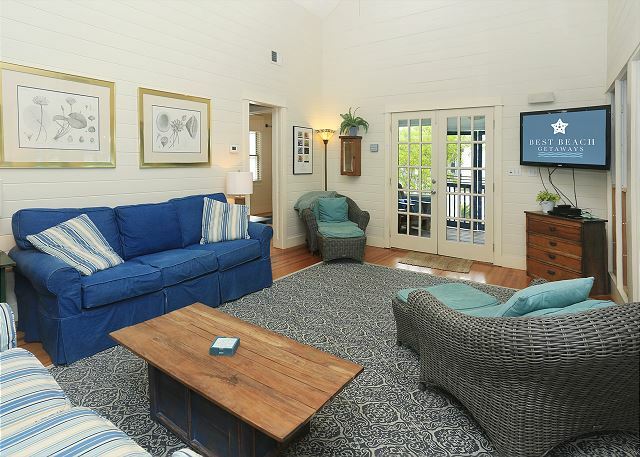 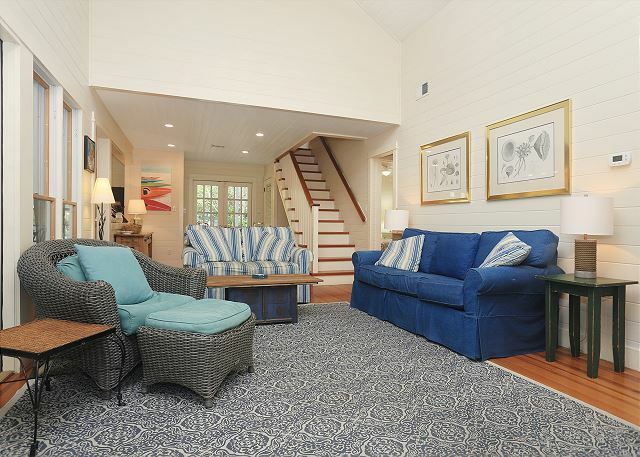 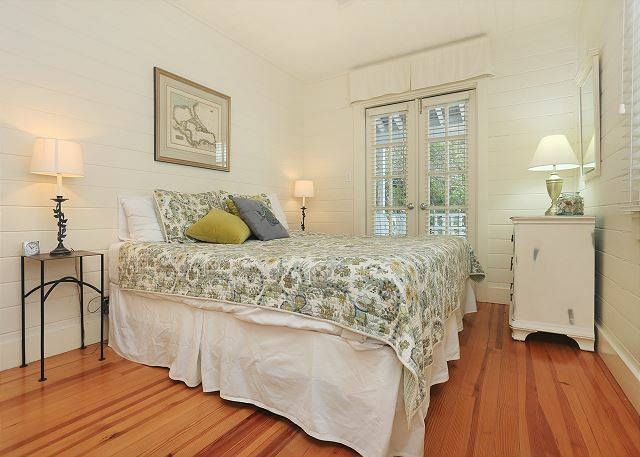 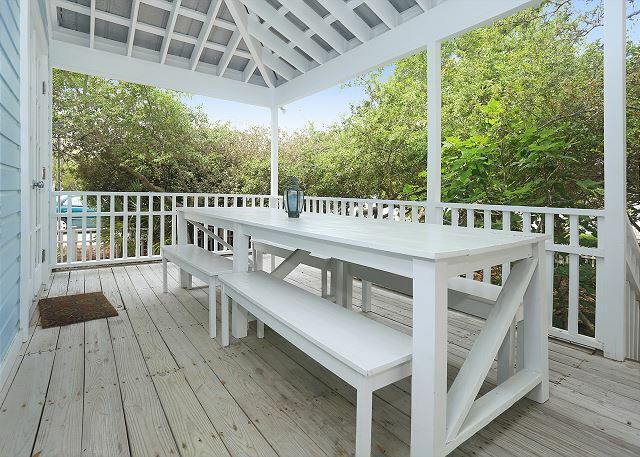 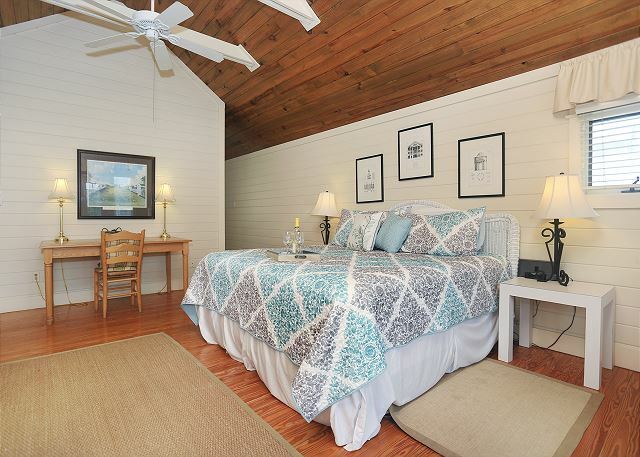 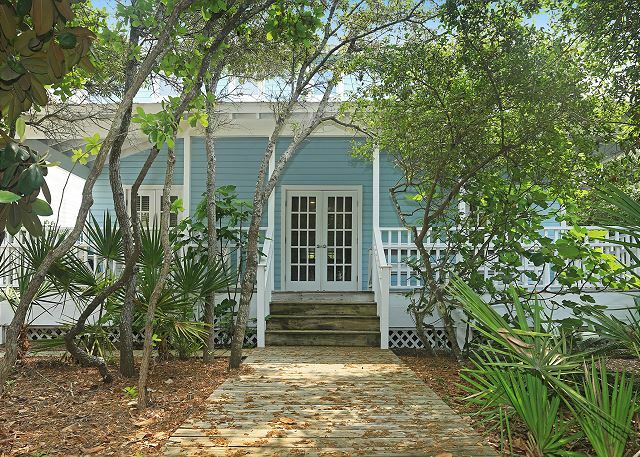 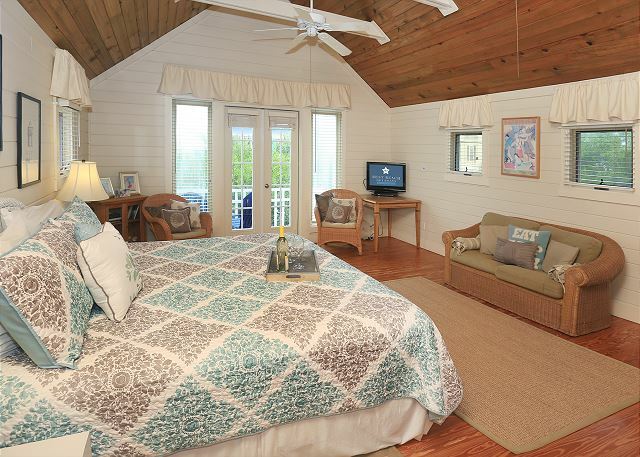 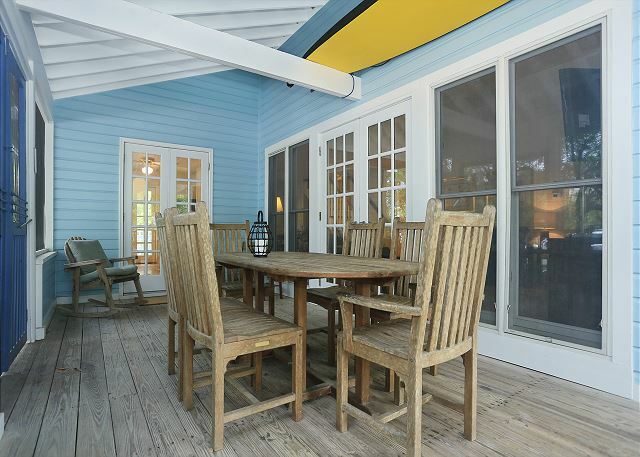 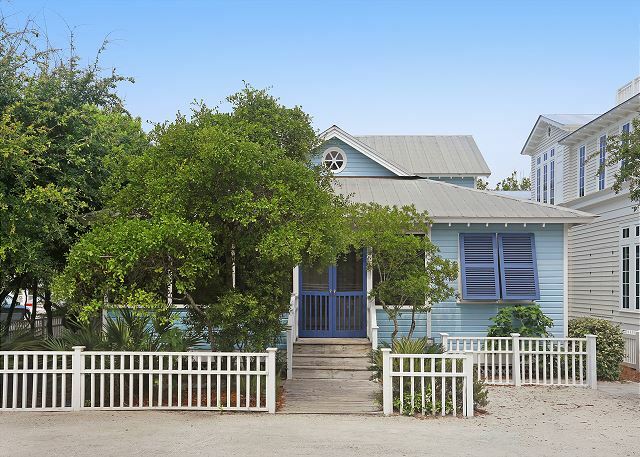 This three bedroom, three bath shaded retreat is just steps to the beach. 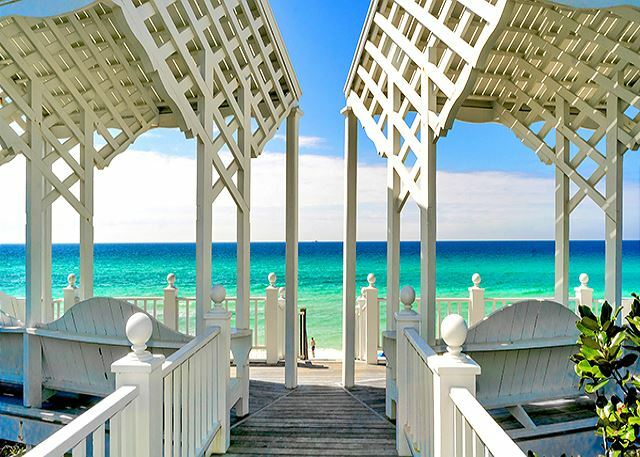 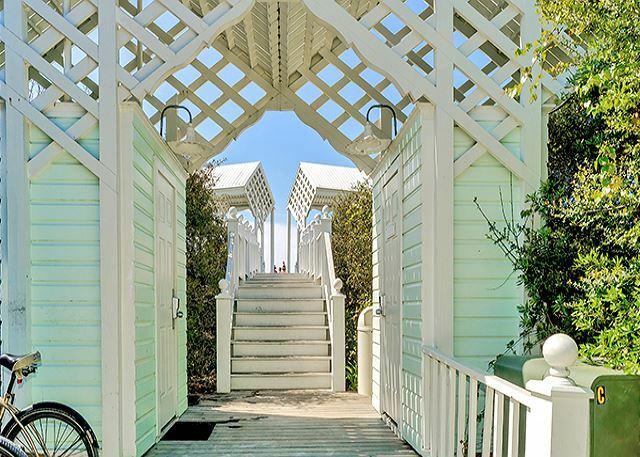 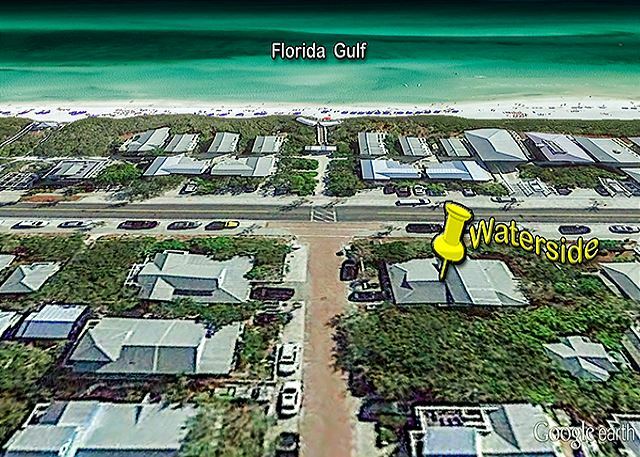 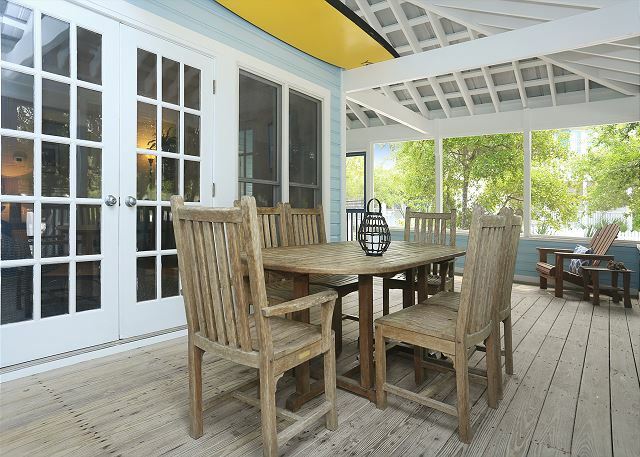 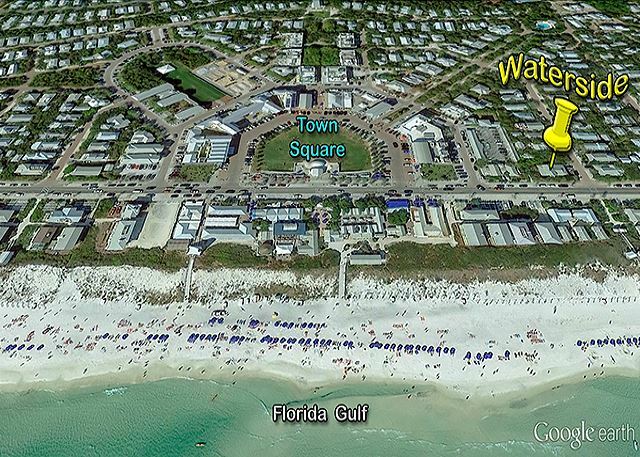 Located at the corner of East Ruskin Street and 30A, Waterside is directly across from the private East Ruskin Pavilion beach access. 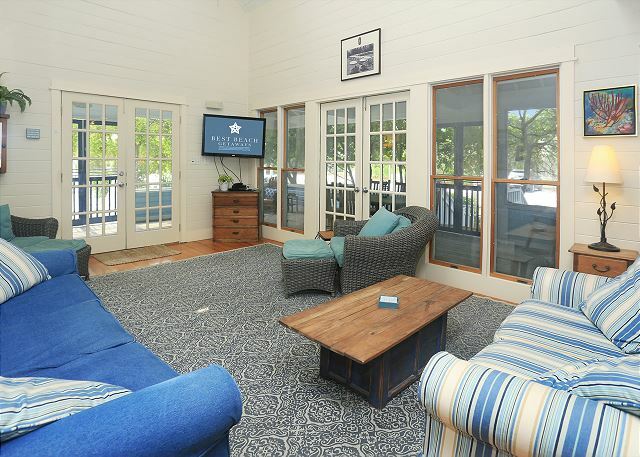 You can sun all day and return home to the cool, shaded seclusion of this comfortable home. 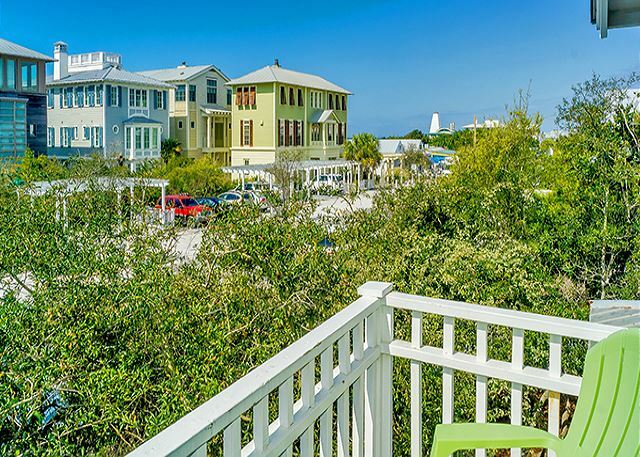 Waterside is surrounded by native live oaks to provide a cool and private respite from that wonderful summer sun and passers-by alike. 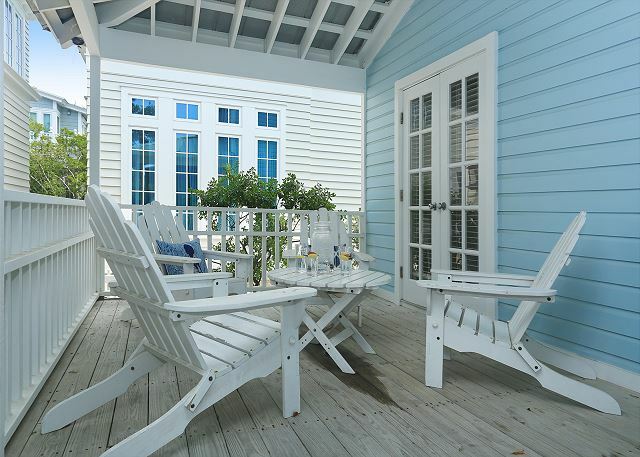 Upon arrival, you will enter Waterside through its expansive screened-in front porch furnished with deck chairs and dining table for 6. 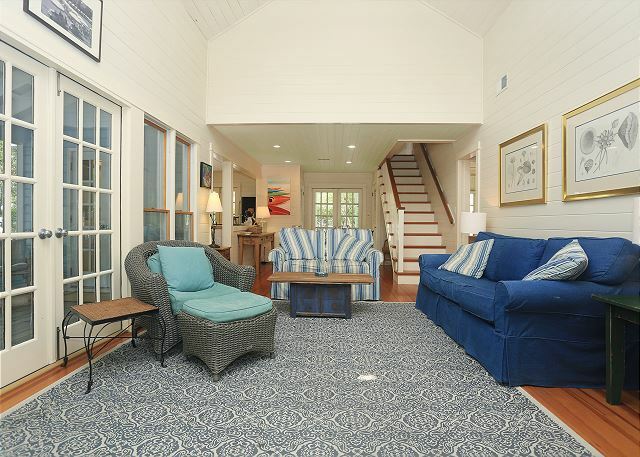 The first floor consists of an open living, dining and kitchen area, a bedroom with KING bed, a second bedroom with two twin beds, two baths, and every room opens onto a screened porch or deck via French doors. 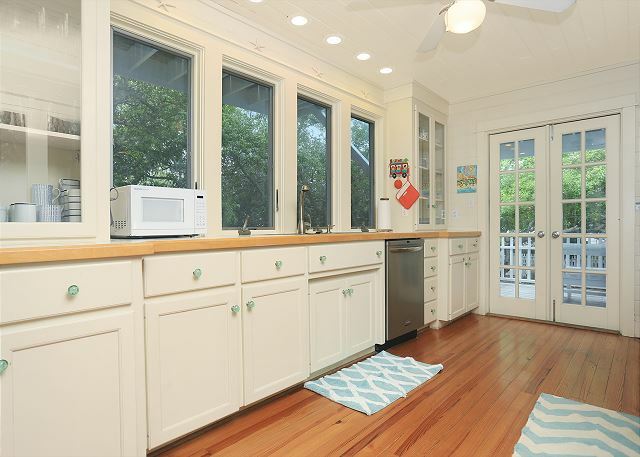 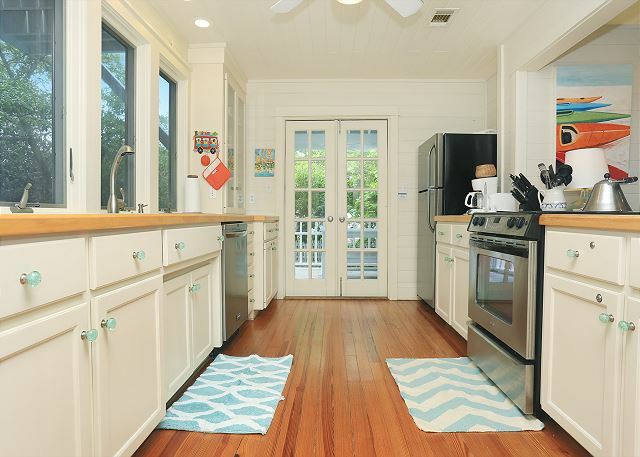 The spacious galley kitchen opens onto the screened porch, as well as the back deck, making it convenient for serving meals or just having morning coffee on the deck. 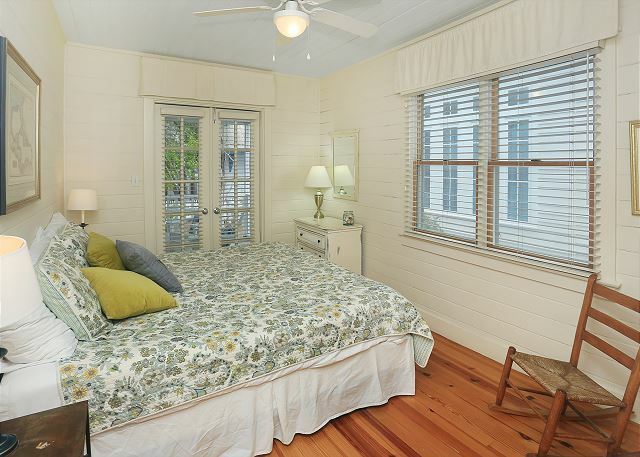 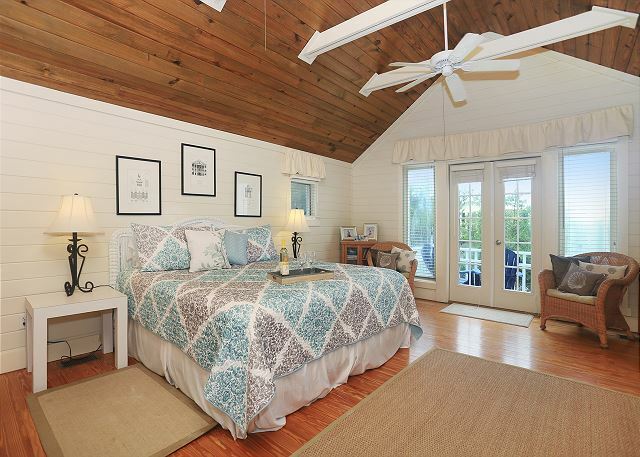 The second floor is entirely devoted to the master suite with a KING bed. 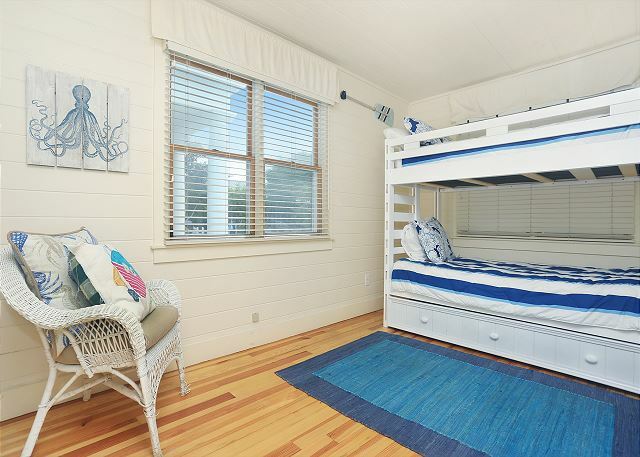 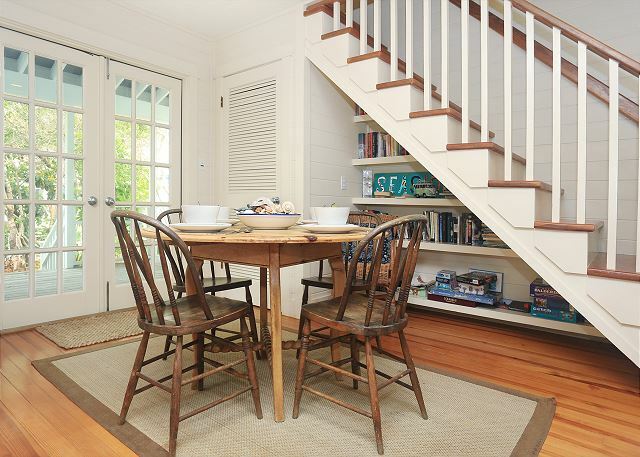 If it were not for the draw of the beach, you might find yourself spending all your time in this extra large room with natural plank cathedral ceiling and open rafters, a balcony to enjoy gulf breezes, and if you must bring the laptop, there is a work table. 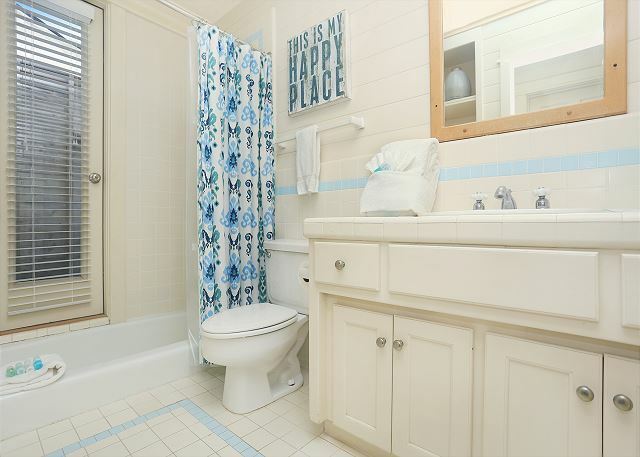 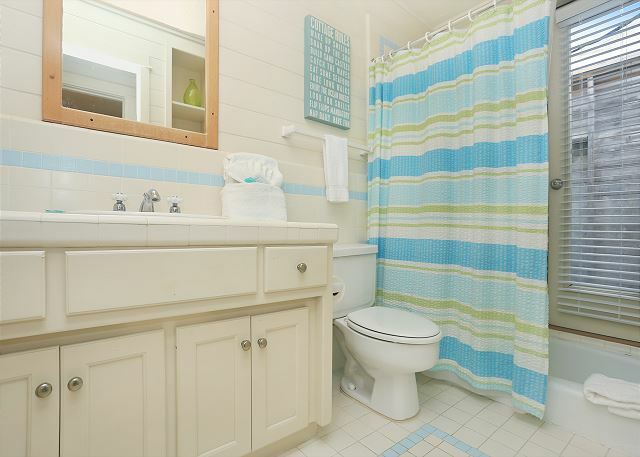 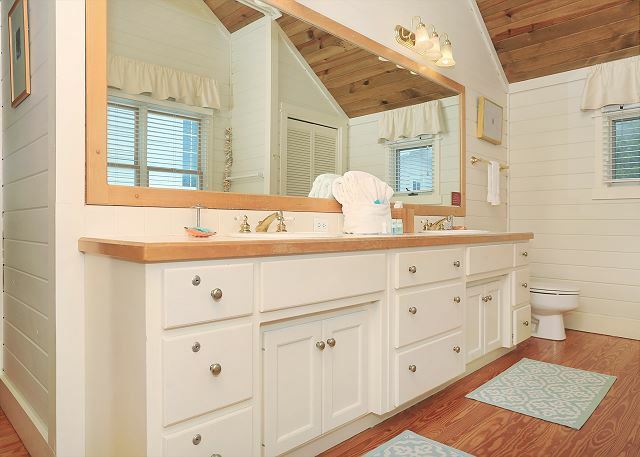 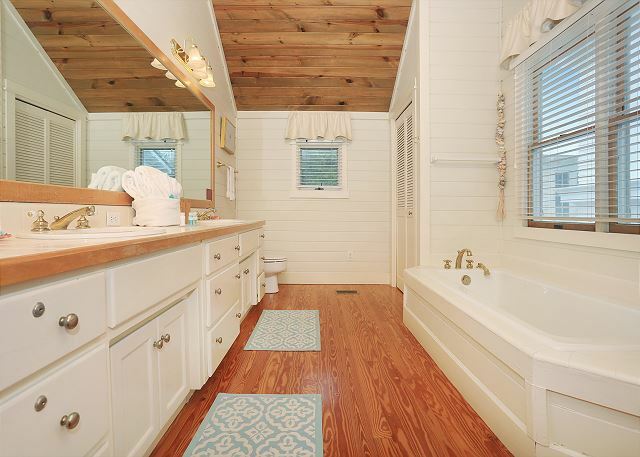 The master bath has an over-sized tub perfect for relaxing. 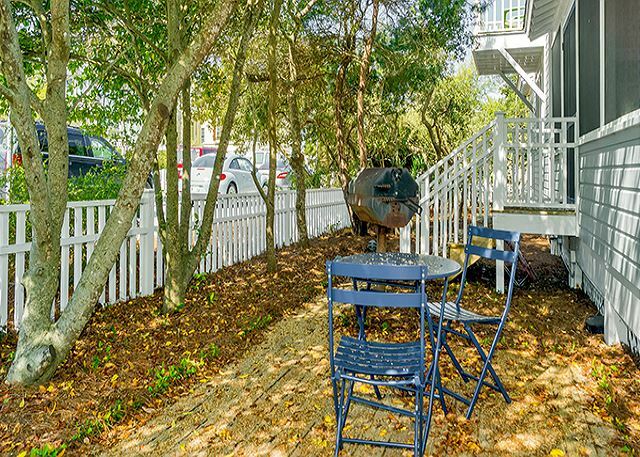 The back deck of Waterside accesses one of Seaside's quaint footpaths that will take you on the short walk to the town center. 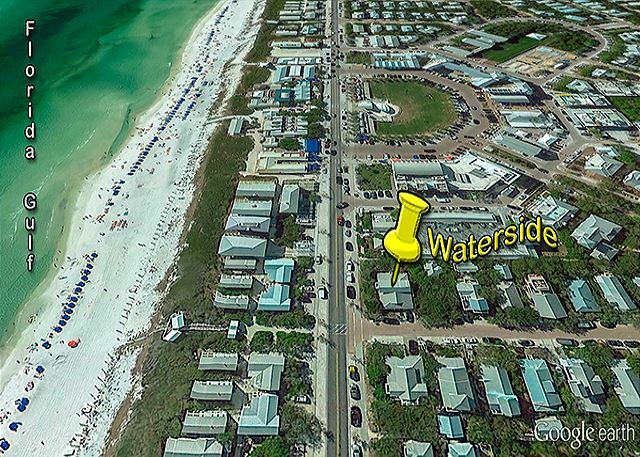 Waterside has everything you need, including high-speed Internet access, for a memorable stay at the beach.